What are the 20 best real estate management software solutions for property owners and managers? We provide you the details in this article as you’ll learn about the features and benefits of software solutions for real estate properties of all sizes. With real estate management software, real estate professionals and landlords can track residents, leases, and maintenance tasks, collect rent, and handle finances to streamline operations and reduce costs. You can choose from different types of software such as HOA (Homeowners Association) software, affordable housing software, and vacation rental property software according to the size and needs of the property you manage. What are 20 best real estate management software available today? Real estate management tools, just like any software, is an enabler of efficiency and productivity. That can only translate to more revenues for you. We’ve spelled out the five key benefits below, and if you’re wondering when you should use software, this video sums it up: when you find yourself spending more hours than you want managing your units. Saves money. You can invest in a quality solution and use it effectively which reduces the need for more manpower and helps you save wages. Thus, real estate management tools are cost-effective options. Scalability. An advanced software can help you manage properties of any type and size. Plus, modern platforms can be easily upgraded and enhanced. This scalable tool can effortlessly grow to meet your expanding needs and demands. Security. You can keep all your confidential info secure in a reliable real estate management software solution. Leading vendors offer advanced security measures such as encryption, firewall, and backup/recovery modules. Saves time. The software automates all complex tasks and processes, and helps you save a lot of manpower and time. The tool can do everything from sending reminder emails and notifications to creating documents and reports. By automating your manual processes you can save time and spend it on more important work. Real-time access to Information. Cloud-based real estate management software programs provide you access to data and info in real time. You don’t have to be in your office to do your work as you can access the system from anywhere, anytime, on internet-enabled devices. By collating all key data and info in a single secure hub and making it available all the time, the platform simplifies info management and its accessibility. The revenue of real estate property management in the US is set to top $67.23 billion in 2018. The US and Canada are leaders in the North American real estate software market due to the presence of numerous vendors and customers. The vendors provide integrated solutions for collaboration management, lease management, expense management, and asset management. Now that you have got background info on the subject, it’s time to get down to the brass tacks and select a suitable solution for your needs. Take a look at the summaries of the top 20 real estate management software products and make your choice. IBM TRIRIGA is an integrated workplace management solution that offers modules to help improve your environmental, financial, and operational performance. Top features include facility management, lease accounting, capital project management, and environment and energy management. The platform offers a lease manager that gives you info about upcoming lease changes and updates, amortization summary, and present and previous asset value. In addition, it presents financial info on real estate contracts to help you get a report on lease expenditure related to a specific portfolio. Manage project activities. The software helps you manage external and internal project activities by presenting a list of active projects and their schedules and budget forecasts. Space management. It provides assistance in managing workplace configuration and space utilization. Choice of deployment. You have the option of deploying the platform on premise or in the cloud. AppFolio is an online solution that offers loads of management and accounting tools. You can utilize it to centralize all your property management processes such as marketing, accounting, online rent payments, applicant screening, online lease agreements, and more. AppFolio offers an intuitive and clean user interface to help you streamline all workflows related to property management. The platform functions well with different types of properties such as student, residential, commercial, and HOA housing. With this solution, landlords and residents obtain a clear communication channel, marketers can improve their online visibility and property listings, and property owners can effortlessly manage their properties. Manage a range of tasks. With AppFolio, you can effectively manage a host of tasks such as marketing, maintenance, and accounting. Modern marketing features. You can utilize modern marketing features and applications to fully optimize your property listings, expand your online presence, and attract potential renters to gain more revenue. Online convenience. The platform offers an online rent payment feature that tenants can use to pay their rent online and also submit maintenance requests. Propertyware is a scalable and versatile platform designed for low density, small residential, and single-family properties. This advanced solution combines accounting and online property marketing and management in a single platform to enable you to cut expenses while boosting revenues from your properties. Propertyware is ideal for landlords who manage their rental properties and tenants, REO/asset managers who control bank-owned properties, and fee managers who handle properties and fees for their owners. This product simplifies leasing renewals, communication with tenants, rental management, and more. Ease of use. This system has been designed by property managers for property managers. Therefore, the software is very user friendly and you can easily master it without much training. Effortless access. Propertyware enables you to effortlessly access and share info with concerned parties from any place, any time. You can use any internet-enabled device to access and work on the system. Social tools. Managers, employees, and tenants can use social tools to interact on issues such as payments, repairs, etc. Rent Manager offers a robust set of features to enable property managers and rental service companies to efficiently manage their tasks. In addition, the tool takes care of all the financial elements which helps you maintain transparency with your clients. Rent Manager has been around for more than 30 years and it offers a detailed and versatile feature set for realtors. The product helps you perform a range of tasks from tracking your rental info to extracting helpful info from your stats. Plus, you get an open API to integrate the system with other apps, and its quote-based pricing plans are affordable even for small businesses and startups. Voice recording and broadcasting. You can easily record a message and send it to all your contacts. This saves you a lot of time and you don’t need to call each customer individually to discuss the same thing. Virtual Post Office. You don’t need to print any letters as Rent Manager will post them to any place you want. Thus, your staff can save time and it also reduces the expenses for printers and mails. Reporting features. This module helps you track prospective tenants as it allows you to generate lease agreements, quick reports, and other vital files. Entrata offers innovative and smart feature suites. It assists you to accept applications from prospective tenants, verify the info, and quickly move them in. Plus, it streamlines the renewal offer process after a lease expires. The platform helps you attract more leads and tenants. You can generate a workflow to manage the procedures and funnel prospects to the next stage. Thus, you can enhance the chances of gaining new customers. In addition, Entrata provides a digital facility management feature where you can track maintenance work orders. Your tenants can also send work requests through this tool. The advantage is you can collate all maintenance-related tasks in one window and work on them efficiently to satisfy residents and building codes. Secure accounting. 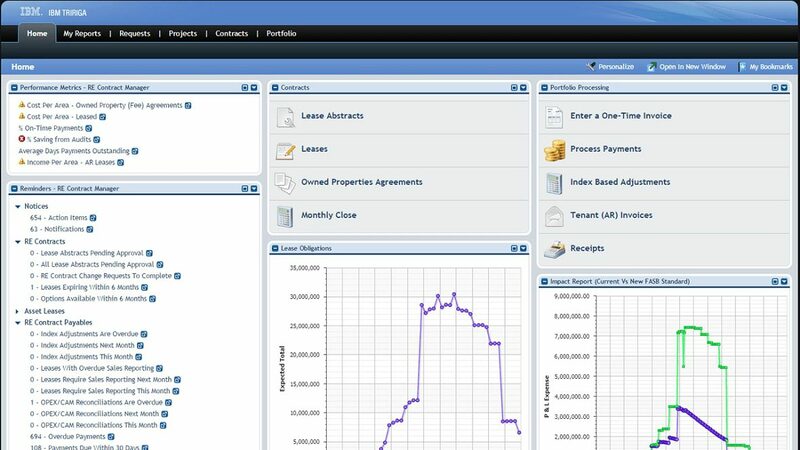 Entrata’s accounting module provides the tools you need to track your property’s finances and operate profitably. In addition, it helps you to manage your company’s budget feasibly. Invoice processing service. Entrata’s invoice processing service reviews all invoices, processes the info, and enters the data in the accounting module. Your accountants and property manager can take over from there. Lead sourcing and management. Funnel your lead sources seamlessly through the lead management workflow. This enables your reps to collect and convert leads at a faster rate and move in new tenants more quickly. ResMan is a flexible solution designed to innovate, automate, and streamline the important tasks and processes of operating multifamily property businesses. The platform offers a simplified user experience to residential property owners and provides them effortless access to the data they need to work more efficiently and get deeper insights to make strategic decisions. ResMan offers accounting functionalities that automate the management of general ledgers, accounts payable, and accounts receivable. In addition, you can produce reports that aid investors in analyzing financial performance. Plus, you can use navigation tools to quickly access data, secure and organize your documents, and create automated tasks for particular workflows. Enhance operational efficiency. ResMan helps property owners and managers to operate more efficiently by providing them the data they need and empowering them to effortlessly perform their routine tasks. Useful navigation tools. You can use the navigation tools to quickly access records and specific data such as vendor and resident info, transactions, and units. In addition, the system alerts on-site employees when applications and guest cards are available online and when messages are sent via SMS or the residential portal. Document management. You can easily organize reports and records online, and keep them secure and safe. Yardi Voyager is a fully integrated platform that improves the operations of real estate businesses. It offers market-specific solutions that cover military, public, senior, affordable, multifamily, and commercial housing. The product provides a single database where you can access all important workflows and info from your whole portfolio. From this centralized hub, you can collect business insights, track maintenance activities, perform accounting tasks, handle leasing, and manage operations. As the platform centralizes workflows and info, it automates processes such as move-in and move-out processing, purchase order management, work order approval, and lease administration. Efficient lease administration. Yardi Voyager organizes all lease terms and tenant info in a single place. It enables property managers to automatically track leases and delve into their details. Plus, while tracking leases they can simultaneously process receivables. Get notifications. The product sends you reminders about all key notifications, deadlines, dates, and tasks. You can specify deadlines that will trigger automatic email notifications and tasks which you can access via the dashboard. Improve business intelligence. Yardi Voyager provides a flexible and fast analytics engine that presents you insights on your financial performance and properties in real time. The engine helps you swiftly get financial and property metrics and data. MRI Residential Management is an innovative program designed for multi-family managers. This full-featured product streamlines and automates processes to empower property managers to concentrate on tenant retention and leasing instead of laborious manual processes. It offers end-to-end features that help you manage all tasks from scheduling to leasing and renewals, and more. MRI Residential Management utilizes a well-connected ecosystem and robust technology to improve operational efficiency. It delivers immense flexibility without adding complexity or reducing control. With this application, enterprises can build occupancy easily, increase income, and boost efficiencies. Top features include reporting and analytics, MRI application exchange, MRI information exchange, flexibility toolkit, portfolio performance management, MRI Go, property management, and accounting management. Why Use MRI Residential Management? Role-based dashboards. The tool’s role-based dashboards provide increased visibility into all important aspects of your property. Scalable architecture. MRI Residential Management’s secure architecture can easily scale with your growing business and offers supportive features for all operations. Reliable accounting module. This module simplifies payments management. It uses real-time data to speed up the management of routine tasks such as project management, facility management, billing, and reporting. Buildium is a cloud-based tool that enables property managers to fully control all elements of their business including accounting, leasing, and others. It allows them to effectively manage their vacancy, maintenance, and rental cycles. Plus, it makes it simpler to receive rents and sends automatic notifications about overdue payments. Buildium is cloud based which means all you need is a browser to access the system from anywhere, anytime. It takes care of all the hard work and empowers managers to concentrate on maximizing business opportunities instead of spending time doing routine operational tasks. Automated operations. The solution automatically manages processes such as acceptance of maintenance requests, payment tracking, and vacancy advertisement, and presents the tools required to reduce late payments. Marketing websites. With Buildium’s DIY tools, managers can create marketing sites where they can list their properties and communicate with the tenants and owners. Plus, these marketing sites can be customized using custom logos, images, and more, and can also be utilized to accept online rental applications. Reporting tools. These features offer an all-round view of all properties and help to track payment status. Tenants can view their payment history and produce in-depth reports of past payments. TurboTenant is a free-to-use tool for property owners that covers all important facets of real estate rentals. It offers user-friendly cloud-based features that you can access from anywhere, on any device. The platform allows you to effortlessly market your property as it integrates with numerous property listing sites. Plus, it enables you to upload vacancies on Craigslist. TurboTenant also provides your own property listing site whose link you can share with potential residents. In addition, it presents a ton of features that allow you to market your buildings in person, accurately price your estates, protect your properties, and more. Helpful website. You can create a professional-looking property listing site where you can display relevant details of your property such as the required deposit, monthly rent, lease terms, and more. Paperless renter applications. TurboTenant provides tools that potential tenants can utilize to submit their applications online. They can do this task through your website which saves both of you the task of entering info about the place of concern again. Get tenant reports. The platform offers a free tenant screening feature that presents details such as credit scores, evictions, criminal records and related info. You can use this info to decide whether or not accept a tenant’s application. Rentec Direct is a web-based software for landlords, property managers, and associations. It offers comprehensive general ledger and property accounting that helps in maintaining bank, tenant, and property records. The platform presents a professional website where you can list property vacancies along with their prices, images, and details. It also enables you to publish vacancies on Craigslist and other popular rental property websites. In addition, online file management assists you to upload and share leases and other documents, and images. Reliable security. The software provides reliable data security as it utilizes 2-factor authentication to keep your data safe. Easy to learn. The solution is easy to learn as the learning curve is not steep and you can be up and running quickly. Unlimited free customer support. You contact the knowledgeable support team via phone, email, and live chat to get your issues resolved quickly. TenantCloud is a free-to-use comprehensive solution for landlords and tenants. It enables landlords to screen applicants, invoice and charge late fees, and receive payments online. Plus, you get a free listing site along with the package. Tenants can make online payments, submit rental applications as well as maintenance requests, and securely store their payment and rental history. TenantCloud’s paid premium service offers additional features such as maintenance request bidding, unlimited bidding, and others. Landlords can also avail premium services called Service Pro to get more tools to expand their business and manage operations without hassles. Mobile apps. iOS and Android apps help users to access info from anywhere, anytime and be productive on the go. Top grade security. Daily backups and SSL encryption ensure data security and integrity, and the data is stored in AWS data centers. Central hub. You can store all vital info in one convenient and secure hub including details such as maintenance requests, utilities, commissions, rent, and more. SimplifyEm can be utilized by property managers and landlords to effectively manage their properties. You can communicate with tenants via tenant portals and invoices, collect payments online, manage tenant balances, charge fees, and track the income and expenses of all your properties. Property managers and landlords of larger properties can save time by automating their daily processes. They can utilize the automation center to calculate fees every month, track expenses, collect payments, and send late payment notices and other statements. This significantly minimizes the manual work needed to handle their properties every month. Banking features. These allow you to manage reconciliations, bank accounts, and print checks. Accounting module. The software can handle everything that is related to accounting and keeps a record of all the changes made to a business’ books, along with a detailed history of all transactions. Important documents like statements can also be generated by the system on a monthly basis. It is likewise able to export data to third-party apps such as Microsoft Excel and Quickbooks. Notifications. Property owners can send bulk notices or group emails for rent reminders, maintenance alerts, site visits, and other news that they wish to share with their tenants. Arthur is a cloud-based platform designed for small and medium-sized HMOs and managers of single outlets, student housing, commercial properties, residential blocks, and social housing. The product works both on mobile devices and PCs and brings together property owners, contractor agents, and tenants in one system. Property managers can utilize Arthur to communicate with stakeholders and perform daily tasks in an organized manner. The program’s dashboard gives you a single view of your properties and helps you follow your scheduled activities. Tenants can pay rents, send documents, generate rental statements, communicate with their landlord, and submit maintenance requests. Multi-unit management. You can easily manage mixed-use properties and HMO’S, blocks of flats, and multi-let properties. The system enables you to handle single individual units or multiple units at the same time. Tenancy management. Manage your tenants in a transparent manner. You can view who has been there for a while, who is starting, and who is leaving. Plus, you can send messages to your tenants from the platform. Work order management. Use Arthur’s algorithm to easily raise work orders and follow them through to completion. Ensure work is finished within budget and on schedule. Use the cloud maintenance management platform to enable contractors to access all the info they need. Property Meld is a cloud-hosted product that assists commercial and residential property managers as well as homeowners associations to ensure compliance with regulations, schedule maintenance jobs, and track payments. The platform is ideal for property managers with 20 or more units. Property Meld documents communication between tenants and homeowners, and helps in work order management for maintenance. It sends notifications to users for important events in the management of a work order or asset, and can generate and approve work requests. Other main features include automated work alerts and reminders, maintenance requests management, tenant self-service scheduling, and automatic tenant follow-up. Web portal. The solution provides a web portal on which tenants can communicate with homeowners and vendors, submit feedback, make online payments, and raise requests. Automates tasks. The software automates all real estate management tasks such as payments, follow-ups, billing, vendor sourcing, and maintenance scheduling. Monthly reports. The platform produces monthly reports that capture important metrics based on the client’s requirements. We have included Evercondo in this list of top 20 real estate management software as it is a reliable cloud-based product that enables property managers to manage overall workflows and identify trends in their buildings. Plus, it allows residents to communicate with condo associations about issues such as maintenance requests, parking reservations, and more. Evercondo presents an inbox to property managers where they can store inquiries and requests in a single place. This inbox contains different types of communication including emails and voicemails to assist property managers to stay organized. In addition, the software offers you access to existing maintenance requests and also provides a notification solution that sends alerts to property managers when specific requests are resolved. Reporting feature. Evercondo’s reporting tool enables management companies to view stats and metrics on selected condominiums. Visual dashboard. The dashboard shows graphs and other methods to visualize key performance indicators. Reliable support. You can contact the support team anytime via phone or email to resolve your queries and also access online FAQs for self-help. Planon Real Estate Management is designed for medium-sized, large, and global businesses that wish to organize their info such as tenant and property details, and lifecycle expenses in a helpful and structured manner. It provides processes such as transaction management that allows you to create and analyze scenarios for effective financial planning. Plus, you can predict potential expenses and find saving opportunities. To help you shift up from old-fashioned spreadsheets, Planon offers centralized dashboards for efficient management. You can check out the software’s features by requesting a demo. Contact the company to get a custom quote for your requirements. Why Use Planon Real Estate Management? Structure and maintain data. You can register and maintain all basic, functional, financial, and technical real estate documentation and data in a single integrated database. Ready-to-use processes. The platform delivers complete lifecycle support in real estate and helps you to execute your strategic and operational processes in a professional and efficient manner. Valuable management info. The software offers a web-based information tool that helps you to create and report property and portfolio Key Performance Indicators (KPIs) intuitively and easily. iManageRent is a cloud-hosted platform designed for landlords managing multiple or single properties of all sizes. It offers a host of useful features including maintenance management, tenant screenings, security deposit management, online rent collection, and more. iManageRent enables you to post vacancy ads on websites such as Zillow, Trulia, and Craigslist. The tenant screening feature offers background details on prospective residents and automatically evaluates applicants based on selected parameters. In addition, you can store files such as lease agreements, manage and track maintenance requests, and stipulate automatic rent increases. Brand the platform. You can add your brand logos and configure colors for reports, invoices, and emails. Configure online rent collection. You can configure online rent collection for pro-rated rent and late-fee parameters, multiple tenants, and multiple bank accounts. Manage maintenance requests. Manage tenants’ maintenance requests from start to end with handymen and technicians automatically alerted by the platform. Hemlane is a cloud-based software that empowers real estate managers and investors to advertise, organize, and oversee long-term rental properties. It offers cloud-hosted data storage, online payments, applicant screening, and marketing features. From the initial stages, Hemlane helps with lead collection by creating a personalized site with application links and property details. You can benefit from the platform’s syndication to more than 40 rental listing sites to market your property and obtain leads. After tenants submit their application, you can access their credit reports and perform background checks. Finally, the Smart service provides legal partner support to users and gives them access to state-specific lease agreements and on-call advice to streamline the contracting process. Maintenance platform. This tool helps you to track repair jobs as it lets tenants to schedule repair, upload images, and coordinate payment for finished work. Integrated accounts system. This feature allows you to pay agents with online ACH transfers, initiate late fees, and trigger payments. Plus, it makes transfers swifter with digital signature and instant bank verification. Track tenants and leases. You can do this with alerts and notifications on overdue rent payments. Rentables is a cloud-hosted tool that helps you track property accounting processes involving owners, tenants, and others. It provides work order management and tracking features to enable property managers to efficiently handle maintenance requests and work orders. Rentables lets property managers scan their existing leases and sort them to identify those that are about to expire. For accounts payable, the software allows ACH and cheque payments. In addition, property managers can generate accurate records and easy-to-read statements for their owners. Moreover, they can email monthly statements to owners, reconcile their account, pay charges, and record rents. Finally, the software generates all your 1099s and annual reports at year-end. Automated bookkeeping . The solution utilizes simultaneous accounting which means when you record a transaction, such as paying rent, the platform automatically makes all the needed ledger entries. This means you don’t have to worry about journal entries or chart of accounts. Collect rent online. Use Rentables ACH to enable your tenants to pay directly from their checking account via the tenant portal. Another advantage is Rentables makes the required accounting entries for you after the payment is received to save you time. Get insights. The Rentables dashboard provides you actionable information and you can get data such as the number of open work orders you have currently, how long it takes to fill a vacancy, and more. You can use the answers and insights to boost your business.